Apply to be on 34th Street Staff for the Fall Semester! Wanna be one of us? Inquire within. We’re so happy you picked up this application! It's quite possibly be the best decision you've made in the last half hour. At least we hope. Whether you’re a Penn student, an Internet pervert or a pyramid scammer, we want YOU to apply for 34th Street! Just kidding. Internet perverts, move along. Penn students and pyramid scammers, have we found the magazine for you. And who are we? So glad you asked. 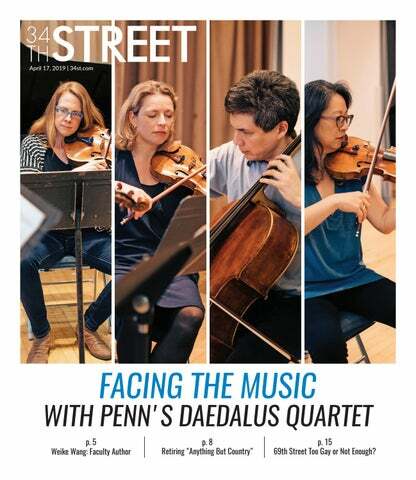 34th Street is Penn’s premiere student magazine. We publish daily content including longform features, first–person narratives, arts and culture coverage, and student spotlights. The opportunities are endless: you can write cover stories, help envision marketing campaigns, attend press movie screenings, and so much more. That’s why we need you all! If you can write, design, take videos, take pictures, draw, or market the hell out of Street, then we want you to apply for the spring semester. We’re keeping the application open until 11:59PM on Friday, September 14th, so make sure to get your app in on time! Feel free to reach out to any of us with any questions/concerns/compliments you might have. We're so excited for the next semester of Street and would love for you to be a part of it!